The Crocker Mountain property holds exceptional recreational, economic, and natural resource value for the State of Maine. 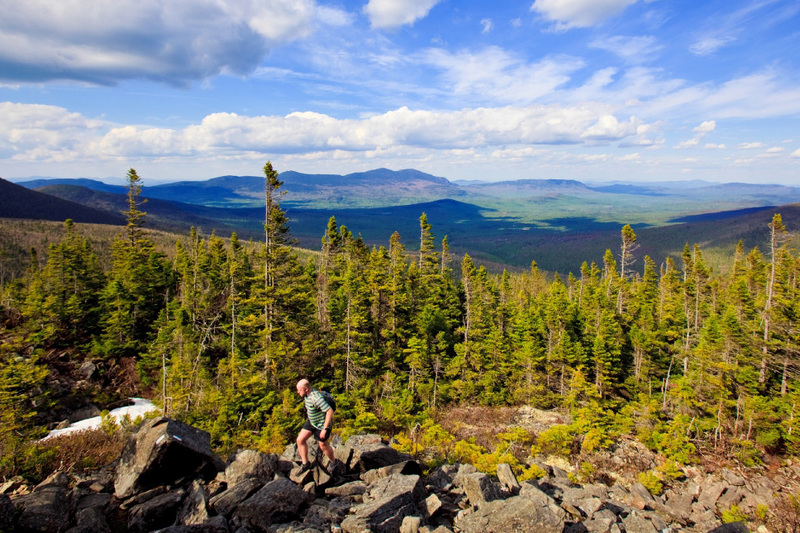 The 12,046-acre Crocker Mountain includes three of Maine's tallest mountains and some of the best opportunities for high mountain recreation including a 10-mile segment of the Appalachian Trail. Now part of the State of Maine's system of public reserve lands, the property will be open to hiking, hunting, fishing, and snowmobiling. New trails for loop hiking, groomed cross country skiing, mountain biking, and ATV riding are planned. Previous ownerships managed the property for its wood, and the tradition of the working forest will continue under the state's ownership. The intact subalpine forest of Crocker's peaks also hold incredible ecological importance. Picturesque glacial cirques capture the eye, high elevation areas are home to the Northeast's most imperiled songbird, the Bicknells Thrush, and the cold water streams host the endangered Roaring Brook Mayfly. The Trust for Public Land, state biologists, and local town leadership and recreation interests have defined a 4,000-acre ecological reserve to protect these unique natural features that are so critical to plant and animal species facing a changing climate. The protection of Crocker Mountain is the latest in a notable list of conservation investments in Maine's Northern Forest by the federal Forest Legacy Program, Land for Maine's Future Program, and private foundations and individual donors. It is also a cornerstone success in a pattern of landscape conservation that links the Mahoosuc Mountains and Maine's High Peaks under the nationally recognized banner of the White Mountains to Moosehead Lake Initiative.